This place is always busy. The food is consistently good although the mashed potatoes are often lumpy. Stopped there to eat lunch before going to the Cumberland County Playhouse. We had a group of sixteen. They were able to accommodate all of us. 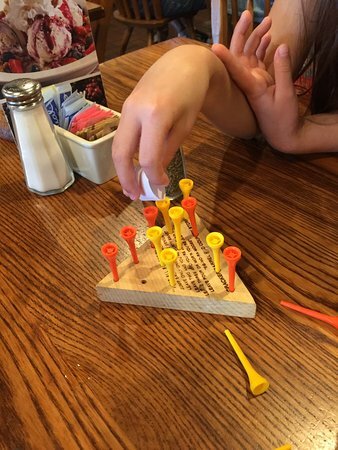 Food and service was good as at most Cracker Barrel Restaurants. 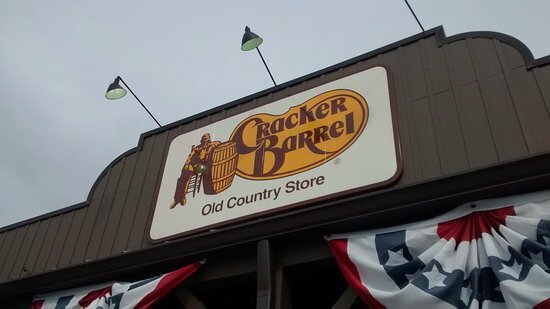 We have been to this Cracker Barrel a couple of times always busy and normally good service not had any problems with the food here. Stoped this afternoon with the wife both ordered 10 oz ribeyes with three sides both of our food was cold,but the staff was great! Such a shame what this store/company did to Tammy after almost 30 years of service. Just isn't the same without her. Have eaten at CB many times and always consistent with food and service. All good. 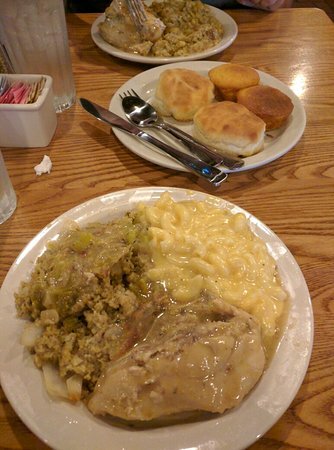 You can't go wrong if just want some common, good comfort food.